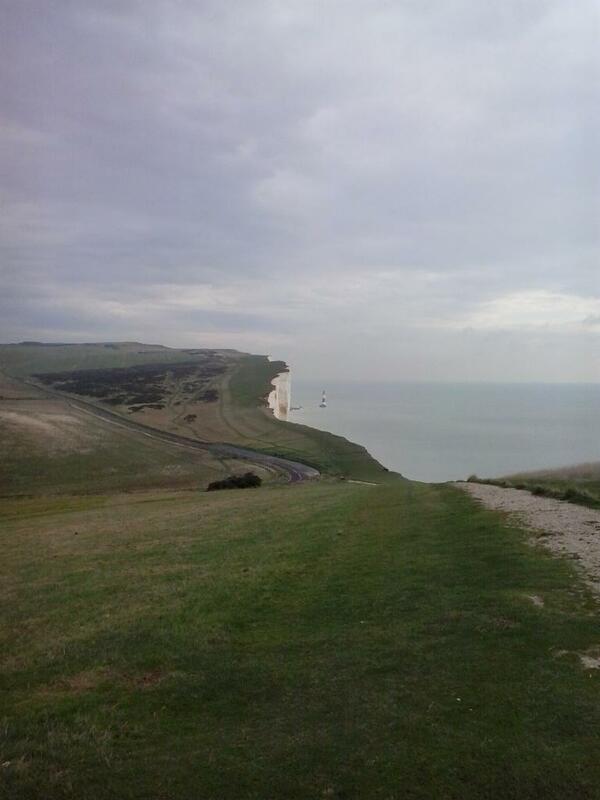 Brighton and Eastbourne – And On the BBC! My trip to England lived up to my expectations in every way. It was wonderful to visit the hinterland of much of the first half of White Feathers – and thanks to Sheila Bugler’s friend Anne-Marie who works at the Eastbourne Herald, I found out that the Links, the name of the school on which I’d based my fictional counterpart, was located just a couple of hundred yards from where I was staying! But I get ahead of myself. First, the interview in Brighton. It was a dazzling November midday when I got off the train and looked straight down the road where the sun was hitting the sea. It was so bright I couldn’t keep my eyes open looking at it directly. And I was due my interview with BBC Sussex and Surrey. Having never done a live radio interview interview before (or any other sort, now I come to think of it) I was quite nervous, but Alison Ferns, the presenter, was lovely and put me at my ease straightaway. Then I stayed overnight in Eastbourne, meeting up with the lovely Sheila Bugler, author of the DI Ellen Kelly series (the latest, The Waiting Game, is out now in good shops, or on Amazon or O’Brien Press!) and we got a few pics taken with the aforementioned Anne-Marie, who was extremely helpful in finding the original Links school. She’s promised to send me on a picture once she found one.